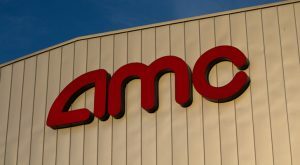 AMC Entertainment (NYSE:AMC) reported its latest quarterly earnings results late Thursday, amassing earnings and revenue that topped Wall Street’s guidance, while a fiscal 2018 year-over-year sales increase lifted AMC shares after hours. The Leawood, Kansas-based cinema operator posted yearly revenue of $5.46 billion, a 7.5% gain over the $5.08 billion from the year-ago quarter. For its fourth quarter of 2018, the company brought in net income of $170.6 million following a loss in the year-ago quarter. On an adjusted basis, AMC tallied in earnings of $1.92 per share, crushing the Wall Street consensus estimate of $1.84 per share, according to data compiled in a Yahoo Finance guidance. The movie theater business also raked in sales of $773 million for its fourth quarter, more than $15 million above the $757.58 million that analysts called for. “AMC continued to deliver strong results in the fourth quarter of 2018, capping a record-setting full year performance, the best-ever in our 98-year history,” said Adam Aron, CEO and President of AMC. AMC stock was surging about 1.2% during regular trading hours on Thursday as the company geared up to post its results. Shares gained about 4.8% after the bell thanks to a strong 2018 in the revenue front, as well as a positive fourth quarter. Article printed from InvestorPlace Media, https://investorplace.com/2019/02/amc-entertainment-earnings-amc-stock/.